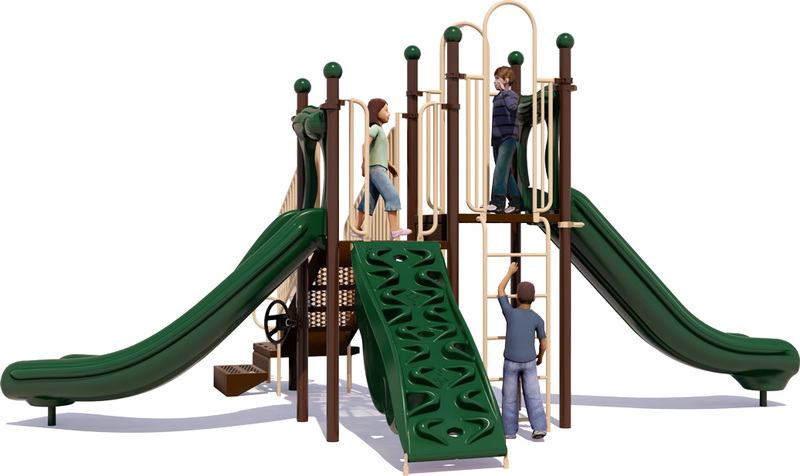 The Out 'n About commercial play structure is a great fit for multifamily housing and residential communities with limited space and limited budgets, but no limit on the amount of fun that can be had while visiting this playground. 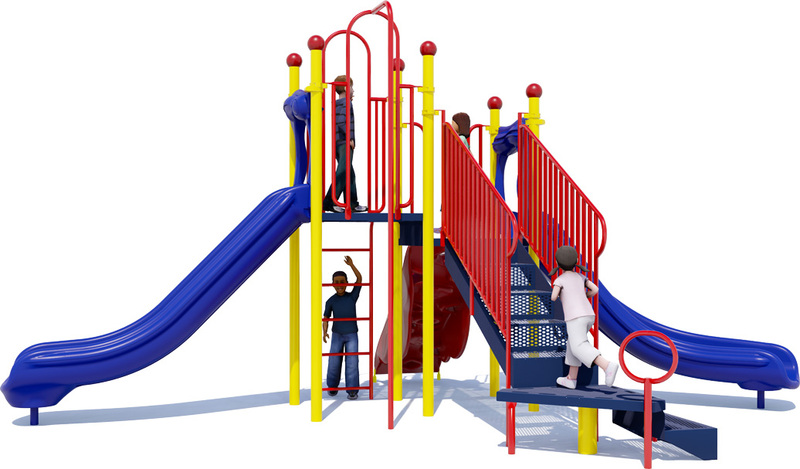 Its moderate use zone and multiple activities can accommodate up to 25 children aged 5 to 12 years old. With a little mix of several different play styles, the Out 'n About features two fun slides in the Curved and Single Speedway Slides. They're mounted at different deck height to offer a different experience for each user. Children can also opt for a different trip to the bottom down the Fireman's Pole. 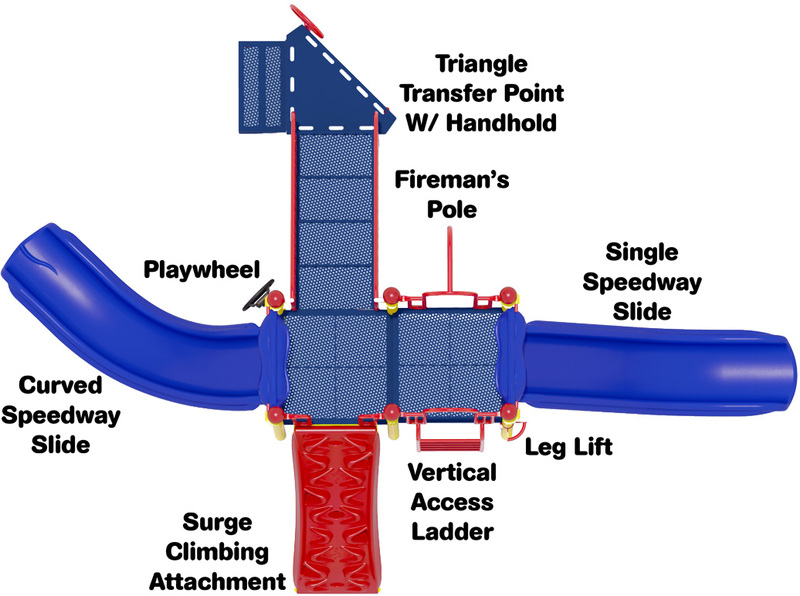 It also features an endurance and fitness building obstacle in the Surge Climbing Attachment. 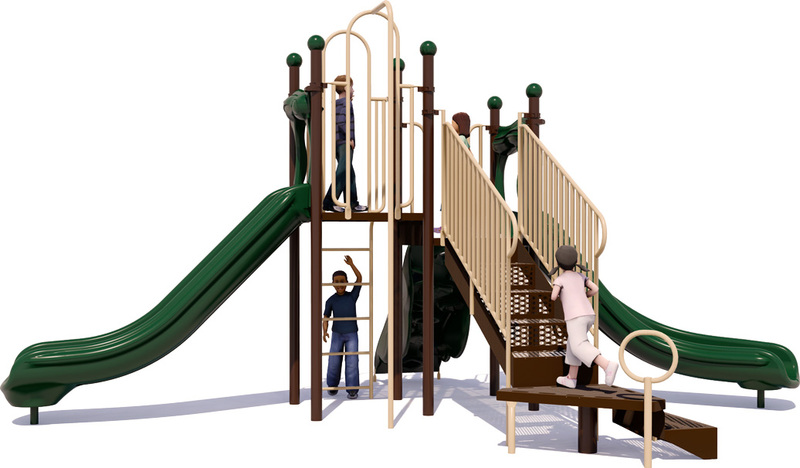 Kids work to find foot holes and hand grips to get to the play deck in a manner similar to indoor rock climbing adventures. 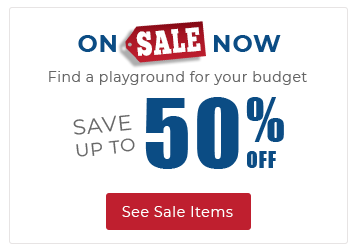 Your playground patrons will also find the Playwheel invites them to imaginative play activities, in turn broadening their minds. Lead-free polyethylene plastisol coating on play decks for optimal durability. 12 gauge galvanized powder-coated aluminum posts are 3.5 in diameter. Upright posts, steel hardware, aluminum decks, component clamps, and post caps are backed by lifetime limited warranty. 15 year limited warranty on punched steel decks and plastic components. ADA Accessible via transfer station for inclusive play. 2 Slides, 1 Climber, 1 Fireman's Pole, And More!